Confused - Computer seems to have a mind of it's own. Some of my issues were resolved. As stated in the above linked thread sometime my internet explorer closes without giving me an error message and it does not restart. I have to open a new browser. I also noticed that when logging in to certain sites it seems that something is not normal. For instance, I tried to log into my myspace and it went straight back to the login page. The login page also had a box saying to make sure I was on the official myspace page when logging in. I re-entered my information, then it logged in. Another instance was when I tried to log into my pepsiracing.com page. Everytime I entered my information it just kept going back to the login page. I requested to have my username and password sent to me in case I had forgotten something. When I recieved the email with my login information, it was the exact same information I was typing in. I don't know what is wrong with my computer. It seems to have a mind of its own. Sometimes I ca not access folders such as my computer, my documents, or control panel. When I try to open these folders, windows data execution program closes them. I wonder if a program I am using may be the cause. I have a few movie and music downloading programs, bingo software, and games. I am running windows xp media with pc tools antivirus, pc tools threatfire, and spyware detector. I also have a program called advanced windows care. All of which are paid registered products. Can my system be checked to see if I may have a program or software that is not good? Edited by mesa215, 12 April 2009 - 12:49 AM. Did you follow the advice about only having one real-time spyware application running, from Tom? Try start your Internet Explorer up in safe-mode. Start, then run, type: iexplore -extoff, hit enter. Just hit your "home" link, and start browsing the pages you have troubles with. If you close IE, it will revert back to normal settings, and you have to type the above again to enter safe-mode. At the moment, its only to determine if it is some features in IE that is making the troubles. Yes, I only have one or the other (Threatfire or PC Tools Antivirus) running at one time. When I ran internet explorer without add ons it worked just fine. The pages were even faster. Before I did this every page I go on comes up and has a message in the lower left corner that says done but with errors on page. What add on do I have? I didn't even know I had any add ons on my browser. And now my antivirus will not update and my dvd burner will not function. Whenever I convert movies and go to burn them to a disc my software will say that there is no available dvd burner, but when I go into device manager, it shows that all my devices are working correctly. It just seems like randomly things go wrong with my computer. One day it is having problems looging on to certain pages, another day I can not open files on my computer, and other days devicxes aren't working properly. It's a cycle that keeps repeating. Also I forgot to add that I can no longer click on my quick start menu icons, I actually have to go to all programs and find the program I wish to run. Edited by mesa215, 15 April 2009 - 10:37 AM. I'll be there to the end. This may take a long time. however, it will most likely shorten the ordeal. windows we'll be running at a later stage. I'll also need a general overview of your machine. Full Tests is the first item in the left hand column of that page. Once you have your Results, please post the TechExpress Link back here into this thread for review. TechExpress is the last item on the list in the yellow box in upper right area of any Results page. Post the entire URL link information back here into this Forum thread. 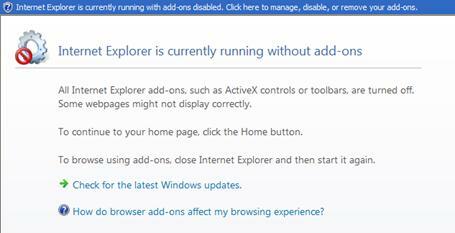 Note: Vista users, please close your instance of IE "Rrunning as Administrator" after you are finished reviewing your Results. Since WTT is a "free-help" forum, we do not recommend or endorse purchase of automated utilities, and will assist you in manually correcting any problems and settings necessary to optimize your machine's performance. Ask your questions here. We'll help you walk through any necessary steps. summary, as the info above is not near enough. Sorry for the inconvinience. Do you have OEM or Retail CD? This is the URL address that was at the top of the page when my results were displayed. I hope this is what you needed. When I opened up another tab and pasted this URL, I got the page with my results. I have a CD that came with the computer for reinstalling Windows. Is that the cd you are talking about? I suggest you go through the issues under the "Fixes" tab in the PcPistop test, except the drivers. We may have to address that later, but right now, we have to eliminate possible causes. defragmentation of your HD. A reboot to free up files might also be a good idea. we have to open your browser. If you can't open IE normally, please try the steps below this guide. disabled before, and disable the other 1/2. Same procedure. disabled in order to catch the culprit. This will bring up the task-manager. In the bottom right corner, click the radio button "New Job"
If you have any questions to any of the above, be sure to ask. I ran the ATF cleaner and defragged the computer. After disabling my add-ons nothing changed. When I go to certain sites including this one it will tell me done but with errors on page. My antivirus still will not update and I can not get task manager to come up correctly. It used to come up and give me several options and now a real tiny rectangle comes up and only gives me the option to start a new task. I can not end a current task or see any running processes, that window does not show up anymore. I can not get task manager to come up correctly. It used to come up and give me several options and now a real tiny rectangle comes up and only gives me the option to start a new task. I can not end a current task or see any running processes, that window does not show up anymore. This may be due to the fact that it is opening in "Tiny Footprint Mode". Try double-clicking the outline border of that rectangle, this should restore it to normal size. After disabling my add-ons nothing changed. When I go to certain sites including this one it will tell me done but with errors on page. This will take you to the internet options. Under reset Internet explorer settings, click reset and once again. Close, and start Internet Explorer, see how it goes. Please report report how it goes after those steps, and we take it from there.